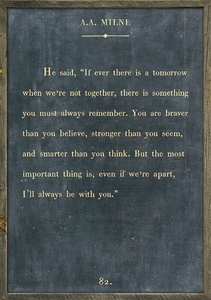 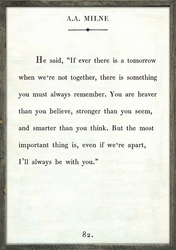 He said, "If ever there is a tomorrow when we're not together, there is something you must always remember. You are braver than you believe, stronger than you seem, and smarter than you think. 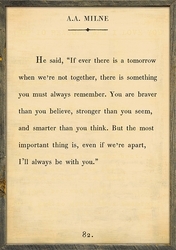 But the most important thing is, even if we're apart, I'll always be with you."